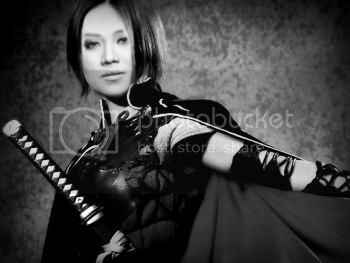 I thought, since I can´t do much help as popster because of great distance... I do what I can do best ~ making some graphics. For all thoses who are not so familiar with programms like Photoshop or Corel Paint Shop Pro. Feel free to use ! Edited by iyah_ronquillo, 26 November 2012 - 06:52 PM. I'm happy someone liked it. Only create a bigger variety. Just look for the great graphics of the other members too! Edited by Rabbitt, 28 November 2012 - 03:44 AM. your artworks are great!!! i will be one of those who will borrow your artworks... thank you for sharing! Edited by Rabbitt, 07 December 2012 - 02:34 PM. I've made 2 more I love these ones. Hopefully you like them too! Edited by Rabbitt, 14 December 2012 - 10:44 AM. Just one signature. I kinda like it Fell free to use! Hi there, today I prepared some pictures just for fun I made them in a short time, so they actually don't look so good, like they could have. But I had a lot of fun! 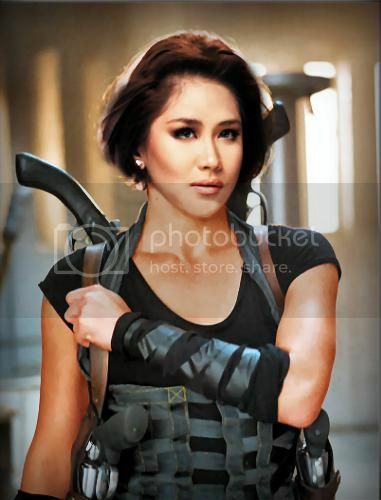 So could you imagine Sarah in an action movie? Edited by Rabbitt, 11 October 2013 - 08:57 AM.